I happen to have the most extraordinary Churchyard where I live in Painswick. A Churchyard that is inhabited by 99 quirkily shaped and intertwined clipped Yew trees that are magnificent and surreal. 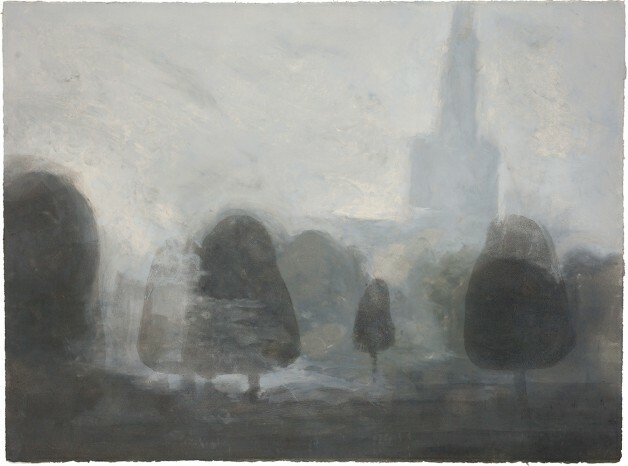 I drew this view of them, using charcoal, on one particularly misty morning, their shapes melding together, drifting in and out of focus. The tonal softness of the charcoal translated perfectly to reinterpreting these drawings as a monotype.